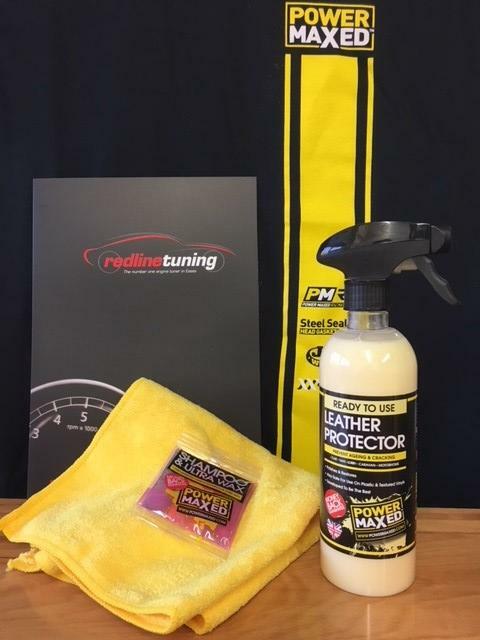 Power Maxed Leather Protector 500ml + Free Complimentary Micro fibre Cloth and Shampoo & Ultra Wax Sachet. Power Maxed Leather Protector restores and polishes to leave a rejuvenated appearance that is long lasting. It is quickly absorbed into the leather where it prevents aging and cracking and leaves an amazing smell. It can be used on leather, plastic or textured vinyl's.